In front of a packed crowd, Eliza McGraw was named the winner of the 2016 Dr. Tony Ryan Book Award for “Here Comes Exterminator! The Longshot Horse, the Great War, and the Making of an American Hero.” She received a $10,000 cash prize as well as a Tipperary crystal trophy from Shane Ryan, the president of Castleton Lyons, during a reception at the farm on Thursday evening. Published by Thomas Dunne Books, McGraw’s work takes a look back at the 1918 Kentucky Derby winner, who was affectionately known as Old Bones. One of only handful of geldings to take the Run for the Roses, Exterminator won 50 races during his career and in the process became a cultural icon following World War I. One of her inspirations for writing Exterminator’s story was a book from her childhood, “Old Bones the Wonder Horse” by Mildred Mastin Pace. The two other finalists for the award were “Old and New Friends” by Barbara Livingston, which chronicles the lives of 100 retired racehorse through both words and photography; and “The Great Sweepstakes of 1877: A True Story of Southern Grit, Gilded Age Tycoons, and a Race That Galvanized a Nation” by Mark Shrager, which looks back at one of the most historic match races ever held in America. Livingston and Shrager each received $1,000 and a Tipperary crystal trophy for being finalists. They were also in attendance to receive their prizes and discuss their works in front of a crowd of Thoroughbred enthusiasts that included the likes of Alex Waldrop, the president and CEO of the National Thoroughbred Racing Association; Anne Hardy, the executive director of Horse Country; and Michael Blowen, the founder of Old Friends. 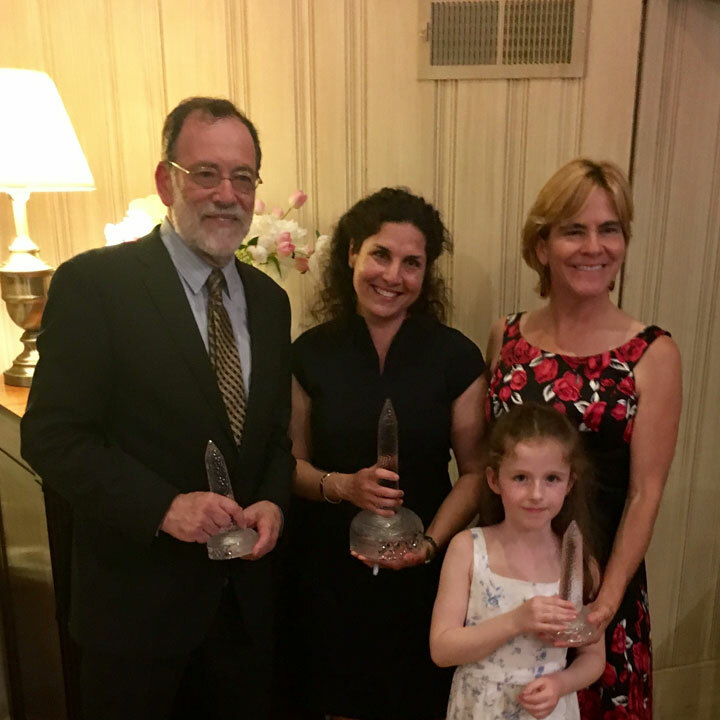 The judges for the award were last year’s winner John Carter, broadcast journalist Caton Bredar, and Kay Coyte, who is the lead judge and former managing editor of the Washington Post-Bloomberg News Service. 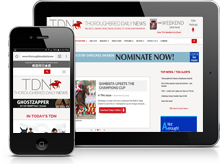 In 2006, the Castleton Lyons-Thoroughbred Times Book Award was established as a way to acknowledge and reward books on Thoroughbred racing. Dr. Ryan, who founded Irish-based airline Ryanair and Castleton Lyons, died the following year, and the competition was renamed in 2008 in his honor. His son Shane took over the farm, and with it, the book award. This year, he called on his young daughter Toni to help him announce the winner.